Pakistan will aim to end the tour on a high. 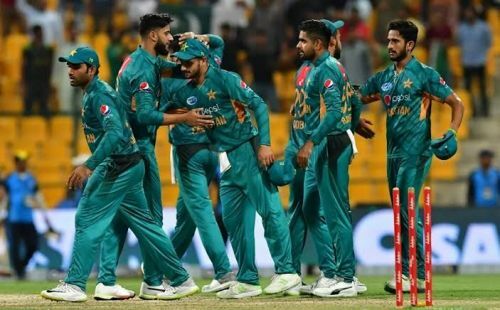 After loosing their first ever T20I series since World T20 2016, Pakistan will hope to escape some embarrassment by securing a consolation win in the final match of their South African tour on Wednesday, February 6. Head to Head Overall: Both teams have gone head to head in 13 T20I fixtures with the Proteas leading the honours by winning eight of those. Head to Head in South Africa: In case of T20 international games played in South Africa, the home team secures the lead at 4-2, but the Africans have hosted Pakistan just once at the Superport Park and found themselves on the losing side towards the end. The loss in second game certainly ended Pakistan's unbeaten series streak in the T20I but the visitors certainly missed the services and experience of their regular skipper Sarfaraz Ahmed during nervy situations. Babar Azam was the pick of the lot in the previous fixture as he blitzed 90 runs in 58 balls and shared a massive 102-run stand with Hussain Talat (55 runs from 41 balls) to get the team off to a flier, and these two will be expected to lay down a similar show in the final game. Shoaib Malik, who scored 49 in the opening fixture, is their most experienced batsman and he will be the key in case they lose early early wickets. Fakhar Zaman's poor show is hurting them badly and the team will need him to come out with his best in this fixture. 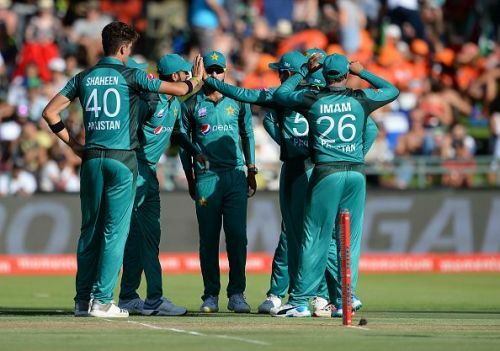 The Pakistani bowlers were ineffective against the daunting African top order, and the only bowler to stop the runs was Imad Wasim, who ended with impressive figures of 1/9 in his four overs and he will be expected to play a major role in final game of the tour. Usman Shinwari, who picked three wickets in the series opener, went for plenty in the previous game, ending with horrendous figures of 0/63 in his four overs and he will be eager to rectify that in the last game. Shaheen Afridi also impressed with his tight spells in the previous game and he, along with Shadab Khan, will be expected to attain a few scalps early. Shoaib Malik (C), Asif Ali, Imad Wasim, Mohammad Rizwan (W), Shadab Khan, Hasan Ali, Shaheen Afridi, Usman Shinwari, Fakhar Zaman, Babar Azam and Hussain Talat. 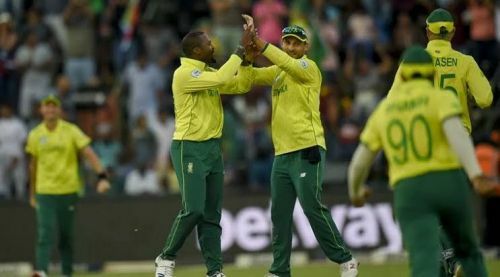 The South Africans will be oozing with confidence after securing the series and will aim to register their third T20I clean sweep over Pakistan. Reeza Hendricks is leading the run chart for the Proteas with scores of 74 and 28 in the previous two games and the opener is likely to continue good form in the final fixture. David Miller starred with the bat in the second T20I as he played a quick-fire knock of 65 from just 29 balls and the hosts will be expecting a similar contribution from him in the last fixture. Except these two, they will also bank on the likes of Janneman Malan and Rassie van der Dussen to anchor the innings towards a good total. For the Proteas, Andile Phehlukwayo, Chris Morris and Beuran Hendricks have been among the wickets in the first two fixtures, sharing four scalps among them. These three will once again get the team's backing to unsettle the opponents in the initial overs. David Miller (C), Heinrich Klaasen (W), Andile Phehlukwayo, Chris Morris, Lutho Sipamla, Beuran Hendricks, Junior Dala, Tabraiz Shamsi, Reeza Hendricks, Janneman Malan and Rassie van der Dussen.